Canyoning or canyoneering? That’s the question. Well, they are basically the same in meaning. The only difference is that canyoning is chiefly British and canyoneering is an American term. Both terms refer to an activity that explores canyons. Do you know the ideal place to try CANYONEERING in the Philippines? 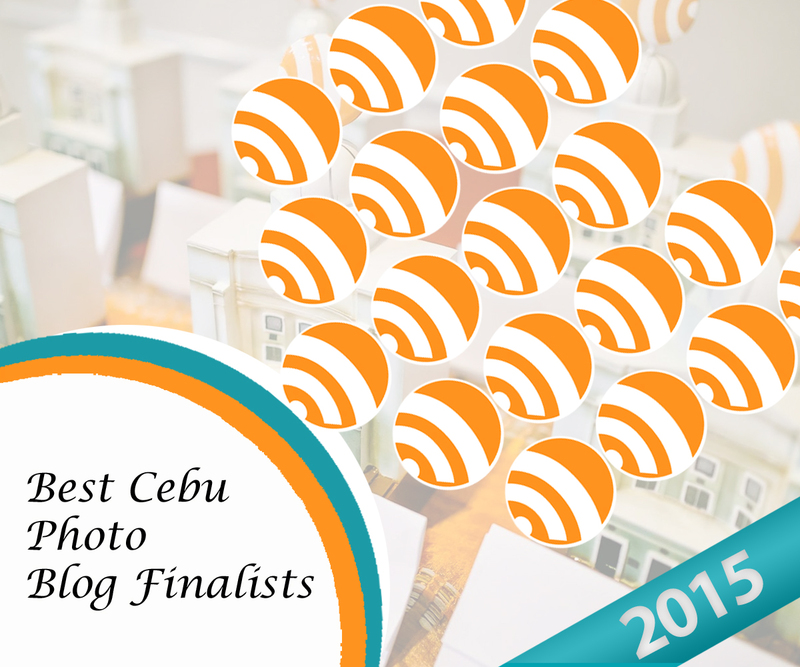 It is Cebu! 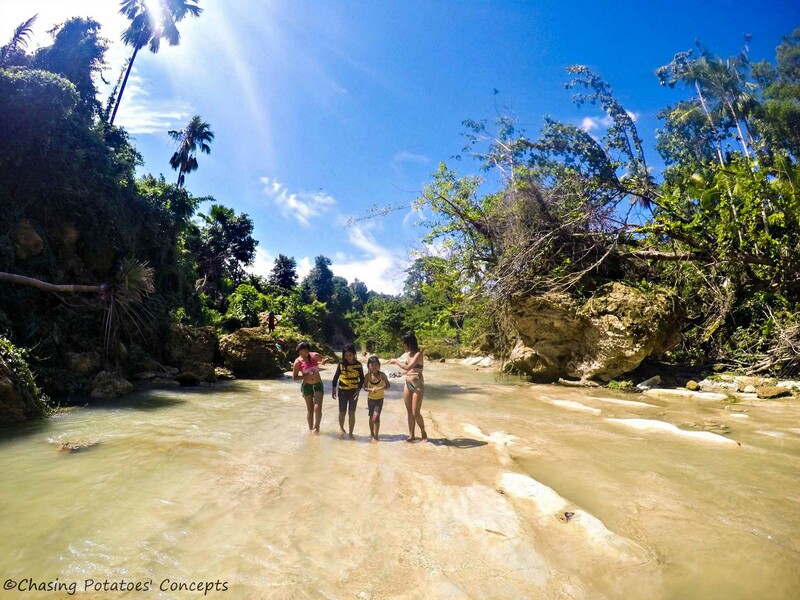 Yes, Cebu is one of the perfect spots to experience canyoneering. It seems surreal eh, that Cebu which I thought before was just beaches and mountains has, in fact, mountains and springs suitable for canyoneering activities. It appears that God’s majestic creations were put together in one place. 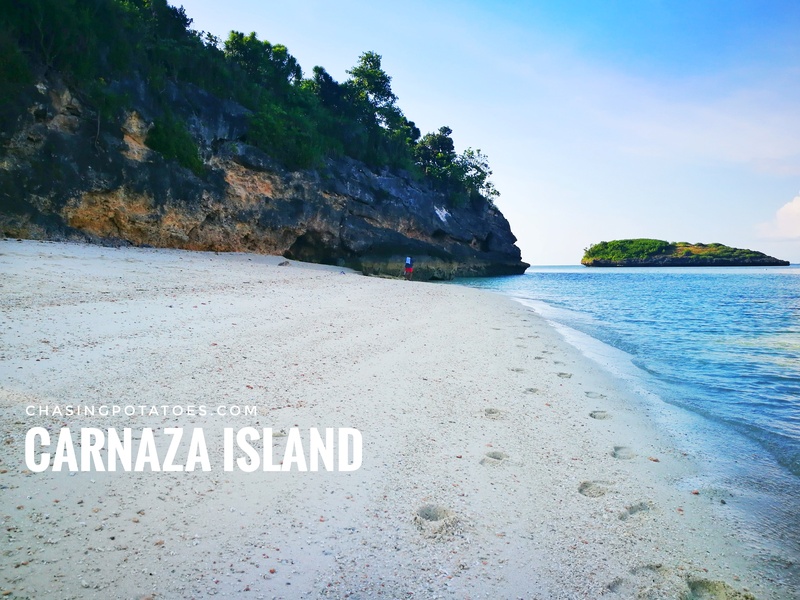 Truly Cebu has a number of brimming gems and unspoiled jewels to offer — natural treasures for Cebuanos to be proud of. So here are 33 angles of capturing the thrilling and amazing canyoneering activity experienced by my friends and me. 1. Sleepover with your best buds. This happens when you plan your adventure with several friends who will be joining your adventure. Why did I consider sleeping over with friends in a friend’s house? Because I think it’s much safer to get out from my own place to be with the people you know. And when you are already altogether, waiting game was in null zone. We know patience is a virtue, but sometimes a long wait can ruin the day. Being with friends is one of the reasons why an adventure will be more memorable than having an adventure alone. 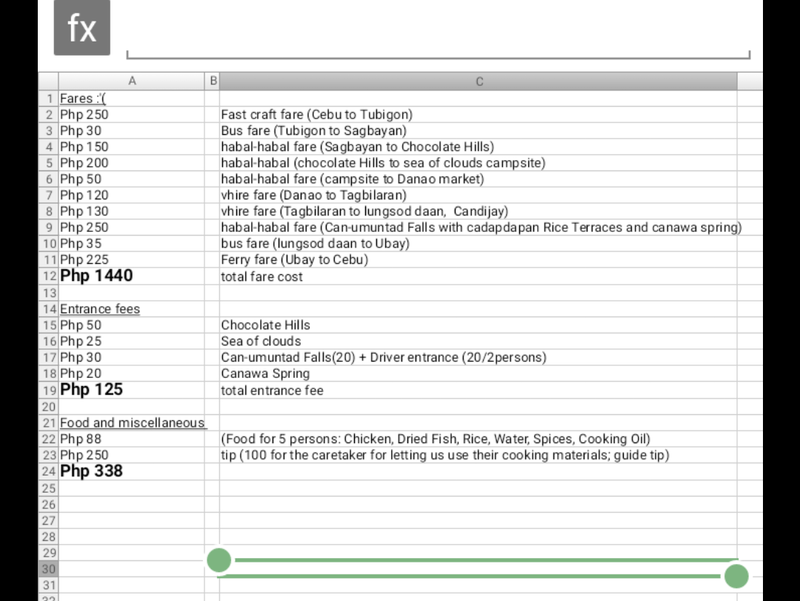 It is not just “the more the merrier” but also the lesser the expenses, because you get to divide the fees. We started to hit off the road as early at 3:00 o’clock in the morning so that we could maximize our trip, save time and avoid heavy traffic. We hired a van for Php 5,000.00 back and forth. Here’s the contact number in case you want to hire a van, too. This is Tron, by the way stooping to write his name. After the 3-hour ride, we disembarked from the van and met our guides, Kuya Ryan and company near the office of tourism located at the side of the highway where a signboard of canyoneering to Alegria was posted. We registered our names as standard operating procedure. What I liked in the tourism office was that it wasn’t just promoting canyoneering but other unique tourists’ spots in Alegria as well. Just look at that Salay cave photo. Hmm, I am interested to go there. I guess it will be next in my travel list. 3. Eat breakfast in Alegria. This adventure requires a lot of energy that’s why the stomach must be filled with food but one must not overeat. One must fuel up because without sufficient force and vigour this activity might drain you for this is an active outdoor activity. Where to eat? Just across the tourism office there stands a carenderia. It even serves lechon baboy. The food is okay and the price is cheap! Aaaaaand again, do not eat too much, just DON’T! We left our stuff in the van and the driver would just wait for us in Kawasan Falls, our exit point after the canyoneering activity. We just brought things that were essential for us. Since the van did not go directly to the area for canyoneering, we all took habal-habal rides. The passage was okay at first because it was already cemented but when it was almost near the destination, it was like riding a roller coaster. Anyway, it was totally safe because the habal-habal drivers were experts in maneuvering their bikes. Just look at the video on how we enjoyed our ride. 5. Equip yourself with protective gears. Now, we have finished putting the gears. This is now our group picture; we are so many. Right, lol! You can’t go on with canyoneering without wearing safety gears. One must have helmets, life vest and shoes/sandals with soles that can withstand slippery rocks. Our payment for this canyoneering activity includes renting all the protective safety gears. It is advisable to wear rash guard or leggings or suits that can cover your whole body to avoid being slithered with rocks. Put sun block, too, even though you may not feel the hotness of the sun because of the cold water and the shades of the trees. Don’t be fooled for the exposure to the temperature around can still make your skin tanner. 6. Read the rules and regulations. Before proceeding to the activity, we made sure we read the rules and regulations to be properly guided on the right things to do there. 7. Get excited with the first jump. We started trekking downhill and as soon as we reached the river bank where the water continued to flow and fall, the canyoneering activity began. The first thing to do was TO JUMP! This might scare you at first but once you overcome your fear, you’ll get hooked. The first jump is measured 15 ft. This is something really scary but once you’re into it, never hesitate to jump because hesitation can cause traffic and delay to the person next to you! Just trust your guides that you are in good hands. Listen to them on what to do and follow them on how to jump. 8. Be ready with the initial slide. What’s unique in canyoneering is being able to witness various kinds of rock formations. The rocks and boulders have different sizes and textures. Some rocks were slippery and we took advantage of that. We slid down the slippery rock until we plunged ourselves into the cold spring water. Just look at the video on how I made a slide. 9. Jump into fifty-foot heart-shaped river. This is an optional jump. If you want to jump just tell your guide you want to try the 50ft jump. 10. Swim in Kanlaob River. If you go canyoneering, it’s impossible that you will be dry all the time. Haha! You will get wet and wet means you can swim in the river. You can go for a dip in the cold, crystal clear and unblemished water of Kanlaob River. This may make you shiver with cold, but the chill of the water will make you forget the hustle, bustle and stress of city life. Some of my friends got cramped; so before you start canyoneering drink a lot of water, eat a banana or do warm up! 11. Be amazed with the blue crystal clear water. Not all springs have this kind of hues. Some springs are no longer clear and beautiful due to water pollution. That’s why you can tell that Alegria’s Kanlaob River is unspoiled, unharmed and well-preserved. I hope that, here in Cebu, the people will continue taking good care of not just springs, waterfalls and beaches but all of God’s creations. Before proceeding to your canyoneering trip, make sure you check the weather, because once there’s heavy rain or bad weather, this activity will be cancelled or if you proceed you may not enjoy the water due to flash floods coming from the highlands. 12. Take your breath away with the canyons. The view that attracts canyoneers is obviously the CANYONS! Who wouldn’t be captivated with this astonishing view? I guess everyone who steps on this awesome place will have their breaths taken away. I just could hardly believe that this majestic nature’s design is in CEBU. 13. JUMP again, SLIDE again. There will be a series of slides and jumps. Seven jumps plus two slides altogether can be an awesome and enthralling adventure. 14. Look up and see the stunning stalactites. The sight of the stalactites is awemazing! Who could have thought the canyons, too, have stalactites that make the view extremely stunning? 15. Go walling and feel like a drama queen. This happens when you get exhausted in jumping, sliding, swimming, walking, climbing and … more verbs+ing. HAHA! 😀 Well this is just for fun. I have this friend, Niña, and she found the wall of a canyon pretty smooth and amazing for acting. She portrayed crying while leaning her back to the wall and went down slowly. She was really an actress, lol. This part of the canyon is where the water drips from above making the wall smooth and gleaming. 16. Have a waterfall massage. One way to relax after getting exhausted is having a waterfalls massage. Since the water continues to flow, drops of water fall, some are big and some are small. And these small tiers of falls can give one a free massage. It will help loosen up your muscles and nerves after getting tired of canyoneering. 17. Capture the mandatory snap of a group. This shot was taken by our guide, and he adeptly got the perfect snap. 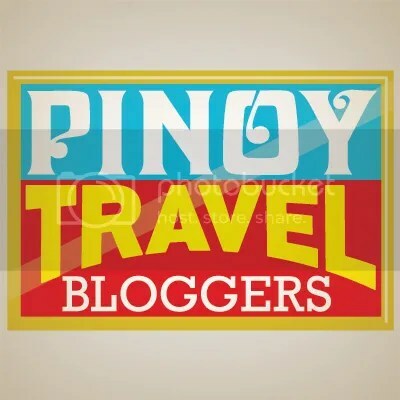 This image of us was featured in Biyahe ni Drew Instagram and Facebook account, and Tourismphl Instagram account! I am proud of this picture. I guess taking group pictures is a popular activity if ever you go canyoneering. 18. Pretend that you carry the rock. There are a number of unique rock formations of varied shapes and sizes here in Alegria. So this picture makes us appear strong. LOL!!! We just pretended that we carried this rock! HEHE! But in reality it was a part of the canyons that was beautifully and naturally crafted by the continuous flow of water. 19. Eat Snacks in the middle of your canyoneering experience. Can you believe there are barbeque stalls amidst the canyons? It was incredible how the stallkeepers got there without getting wet. And they even brought a dog. That’s why you can bring your money so that can buy food/snacks. If ever you buy food from the stalls, please observe “no throwing of trash”. The vendors do have trash bins, so throw your garbage there. 20. Swim in a cave. Canyoneering in Alegria has a mini spelunking activity where one can swim inside a cave. The cave is formed by the continuous flow of water of the Kanlaob River. What a marvelous piece of creation in this planet! Right? 21. Fall in line, Be patient. The inconvenient part of being in a big group is the waiting game. You have to wait for others. It’s time consuming but nevertheless the time you spent waiting is the time you look around and realize what a wonderful world the Lord is giving us to live in. And because Cebu has been a canyoneering hub already, people from different parts of the world are coming over to experience this cool and awesome canyoneering activity. Expect that you will meet and get acquainted with people of different nationalities. 22. Spot the happy and free monkeys. The trees are so high in this photo, that’s why the monkeys can’t be spotted. During our canyoneering activity we saw four wild, happy and free monkeys. They looked like a family. I’m happy to see them on the trees and not in captivity. They wiggle and giggle on the branches in seeing our faces. They maybe greeting us with their own manner of salutations. Here’s the sad part, the guide told us that some monkeys here were being hunted for food to be served in a restaurant. And mmyy Gooood, eating monkey is like eating a human being. Just leave them free in the wild please, because they belong there, not in captivity nor in your tummy. Wildlife hunting and collection of flora and fauna species in the area are STRICTLY PROHIBITED. 23. Amble into the wild. You can observe not just canyons, waterfalls, rocks but also huge trees. It seems that you are in the middle of a forest. The trees are tall, making great shades below, protecting the non-living and the living things in the ground which are not stung by the sun’s rays. All you can see is fresh green tint making your eyes relax in deep meditation. 24. Walk on the fallen dead tree. I do not know what happened to this tree, but I often see pictures of canyoneering people walking on this tree. HAHAAHA! I think it’s one of the famous fallen trees along Kanlaob River. 25. Trek the river downstream. 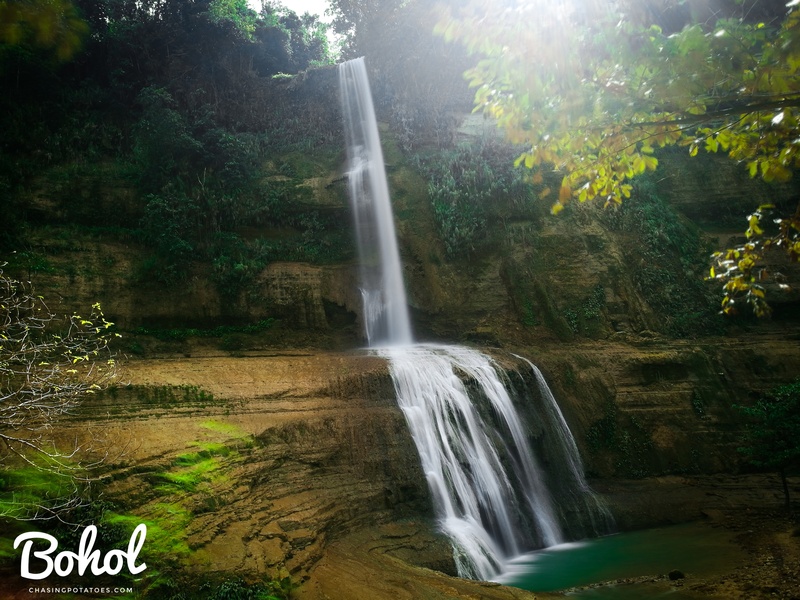 Once you observe that there are no more visible canyons it means you have reached Badian, and Badian means Kawasan Falls. We just followed the streams of the river, that cascaded into our feet. It made our feet loosen up. What a treat! 26. 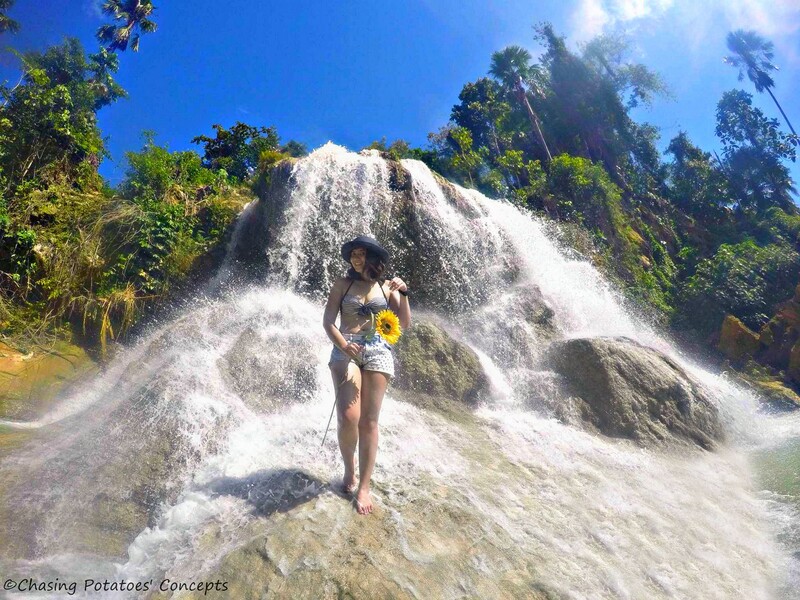 Be enchanted by Kawasan Falls. 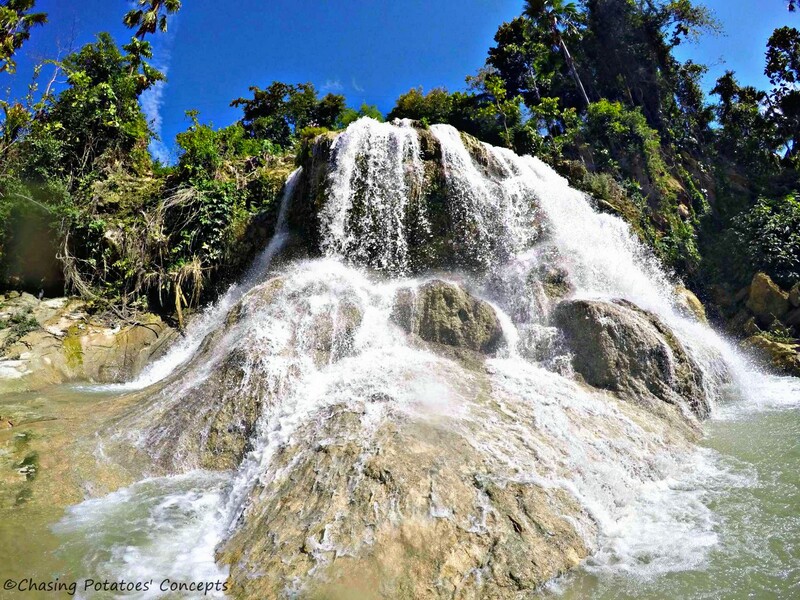 Kawasan Falls never runs out of enchantment and beauty though its highly developed and visited by a lot of tourists. It never ceases to amaze me. Want to know more about Kawasan? Here’s my blog about it. 27. Jump again in Kawasan. You can still jump in Kawasan. If you’re not tired yet and still have a lot of energy, then try to jump! 28. Be astounded with people who fears a lot yet survived canyoneering. Many of my friends were scared but conquered their fears, and I was so happy for them. Take for example JOY, she couldn’t see clearly, she had to take off her eyeglasses. She had fears, but she jumped and finished the course of canyoneering. 29. Cross this fragile bamboo bridge. I say fragile because it really looks fragile and can easily be destroyed. My friend Loise slowly crossed this bamboo bridge. Anyway if you fall, it is safe because the bridge is not high. 30. Explore the 3 levels of Kawasan. As you trek down you will see the 3 levels of Kawasan Falls. 31. Go rafting in Kawasan. If you still have time, you can try rafting in the rapids of Kawasan Falls. Since we were done in our canyoneering and in venturing in Kawasan Falls, we left the place by running in order to get fast to the waiting van. HAHA! This only means that Kawasan Falls is highly developed making the passage safe for running. 33. Always crave for nature. Nature has a great impact and massive effect on our health. It brings positivity and vitality! So always crave for nature! How about you, what can you suggest or add? Let me know your thoughts and your experience. Well #15 is definitely my favorite haha”) xoxo BING. Gly, parang magpapakamatay na ako ng ganitong adventure. wahaha fear of heights and water, 2 in 1. Nice! I so wanna try that too! Is it okay to go alone or should you really go in groups? This looks like it was an amazing time. Such beauty and so many different emotions to experience. You are fortunate to have been able to experience this adventure. saya-saya naman! inggit ako! sige lang, susundan ko rin kayo, malapit na. 🙂 salamat sa mga tip! lovely post and adventure. Great shot of the pic-in-action and vids-in-action. Oh my goodness, these photos are all stunning! Making me want to travel really badly! Looks like a wonderful adventure … makes me wish I was 20 (or even 30 or 40) again. Great picture … keep sharing with us, please, I love your blog. Ted Campbell, from Canada.